I have to be completely honest about this one…I was not so sure when I started seeing this trend in the media. Dresses and tennis shoes?? Really?….I had to try it for myself. Keep in mind I’m a high heels kind of girl, I can count on both hands (maybe even one if cheer shoes don’t count) how many pairs of tennis shoes I have owned in my life…other than working out or going to the farm, I rarely wear them. Until I found my superstars. I fell in love with them, and style them any chance I get. Lets face it, I am a mom and heels aren’t always the easiest. Although I’ve donned heels with a kid on one hip and holding the hand of the other as often as I can….the older I get the more practical I need to be. 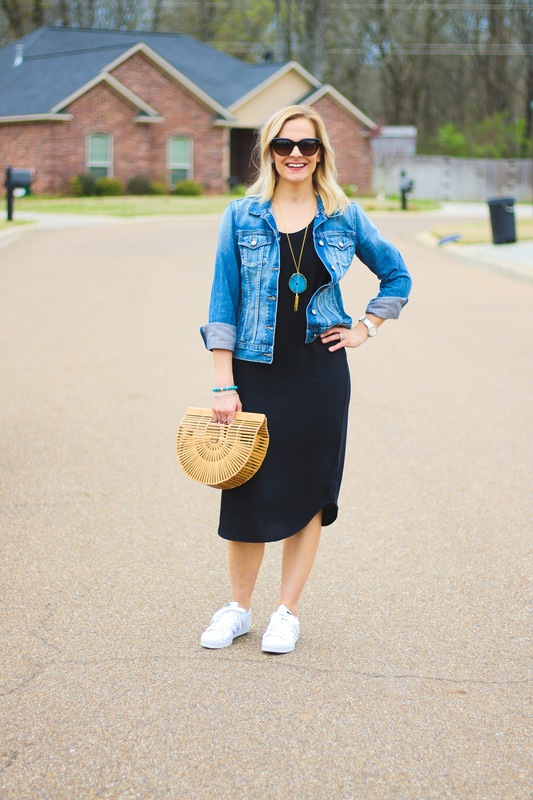 So, I wore my superstars with a dress….and I liked it! 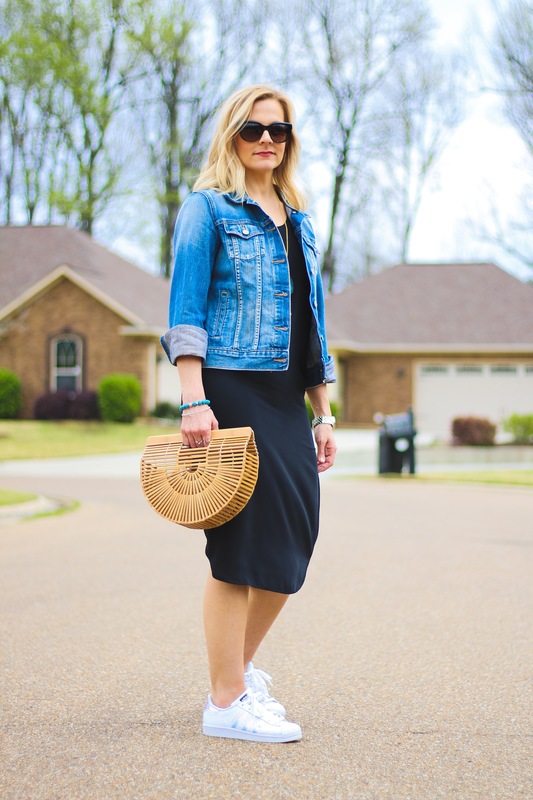 A dress is my go-to, I own more dresses than I do anything else in my closet, so to throw on a dress and my tennis shoes was so easy and I felt super chic!! If you don’t believe me, just try it. Don’t worry I had my doubts at first too… but trust me, you will have it on repeat.